In this live, online webcast, Drupal developers Jeff Eaton and James Walker will guide newcomers through the nuts and bolts of Drupal's content management system, content management framework, and community. They'll cover the evolution of CMSes and how Drupal fits in, discuss some of Drupal's philosophies towards concepts such as content management and software architecture, and explain some of the fundamentals about Drupal's extensible APIs. Finally, they will muse about Drupal's thriving community and how best to leverage and participate within it. Jeff Eaton has been building Internet and desktop software for over a decade. He's participated in projects ranging from web-portals for communities and nonprofits, to enterprise client-server applications for retail industries, to large-scale web applications for companies like Dow AgroSciences and Prudential Real Estate. 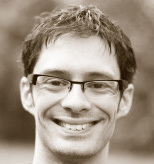 In 2005, he began developing solutions based on the open-source Drupal content management framework. In the years since, he's become a core developer for the Drupal project, specializing in architecture and API development. In his capacity as a consultant for Lullabot Consulting, LLC, he's helped plan and build the software infrastructure for Drupal sites including MTV UK's music portal, SonyBMG's artist site platform, and Fast Company's groundbreaking business networking site. Jeff is known as "eaton" on drupal.org. Passionate about both technology and teaching, James Walker is Lullabot's Director of Education where he oversees the company's public workshops, seminars and private Drupal trainings. A leader in the Drupal community, James is a founding member of the non-profit Drupal Association and the Drupal security team. As a long time member of the Drupal community, James maintains over a dozen modules and has contributed countless patches to Drupal core. A long time believer in Open Source and Open Standards, James has spent years co-ordinating Drupal's involvement with other communities such as Jabber/XMPP and, most recently, OpenID. 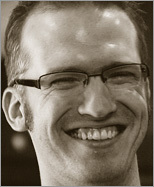 An engaging speaker, James is a frequently requested presenter at many types of technical conferences. His humorous and informative lectures have been among the most well-attended at DrupalCons, starting with the first - four years ago. James is known as "walkah" on drupal.org.